We are taking part in the 31 Days of ABCs series, and we are featuring J – for Jello! 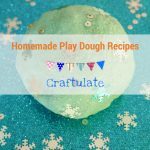 We took part in this series last year with D is for Dough. We are so pleased to be part of it again this year! 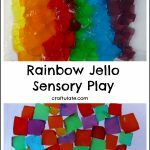 Jello is great for creating sensory activities – the bright colours, scents and of course textures will keep kids coming back for more. 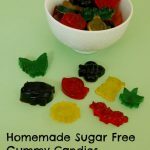 It is also the perfect ingredient for some fun science experiments and great for hiding toys in! 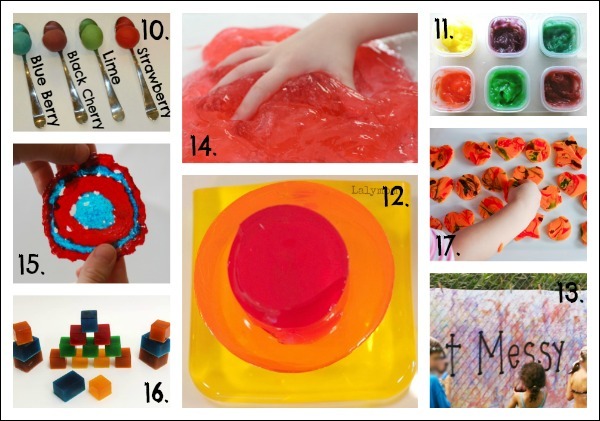 Jello can be used to make play dough, paint, building blocks and some fun art! 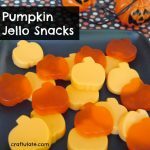 Don’t forget you can eat Jello, too! Oh right, you didn’t! 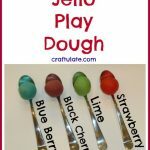 Here are some creative ways to use Jello to make some really fun snacks. Check out the rest of the series!! This is so FUN! What a great round up! 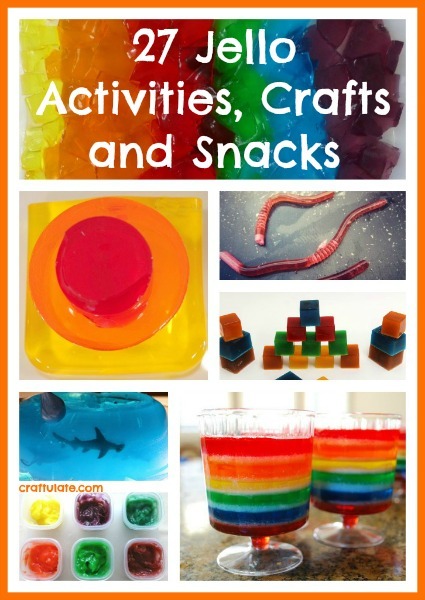 And you’re right, Jello seems like the perfect material for so many fun learning activities. Love the sharks fin jello cups 🙂 My son would love to play with jelly, will have to go out and get some!